NEW DELHI ― Indian scientists claim they have completed development trials of the homemade anti-tank guided missile known as Nag, but the Army, which will use the munition, says more trials are needed before a formal limited production order is given. The Army also flagged the high cost of the Nag missile. The cost of the Nag ATGM is about half a million dollars, almost double the price of the Israeli Spike or American Javelin missile, according to a second Army official. The thermal sensors of the Nag missile are procured from Rafael of Israel and Thales of France, which is one reason for the missile’s high cost. The Army has projected an immediate requirement of 2,000 Nag ATGMs in the short term and 8,000 in the long term. However, the service will place an order for only 500 Nag ATGMs after one year, and the production order will be made in phases. 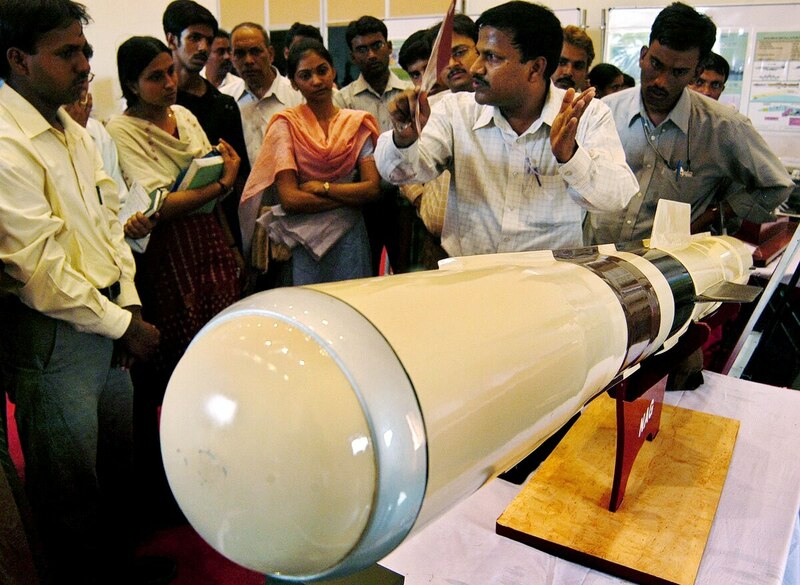 The Nag ATGM will be manufactured by India’s sole missile producer, state-owned Bharat Dynamics Limited. The missile has so far only been tested while mounted on a combat vehicle, specifically the Indian-built version of the Russian BMP-2 infantry fighting vehicle. Since the Nag ATGM is already delayed by more than 10 years, the Indian government has decided to finalize the import of shoulder-mounted Spike ATGMs from Rafael Advanced Defense Systems Limited of Israel, an Indian Ministry of Defense official said. The air version of the Nag missile, called Helina, is still in the early stages of development. Its customer, the Indian Air Force, will have to buy helicopter-mounted ATGMs from overseas if it doesn’t want to wait for the homemade ATGMs, the MoD official noted.